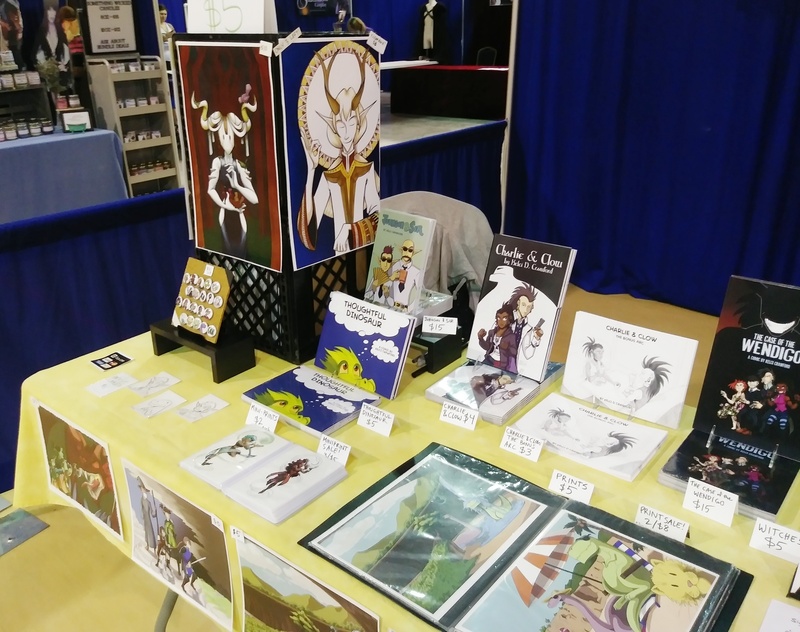 The Marietta Comic and Creator Convention sprang up (at least partially) as a result of River City Comic Con getting canceled this year – the organizer of River City fell ill. 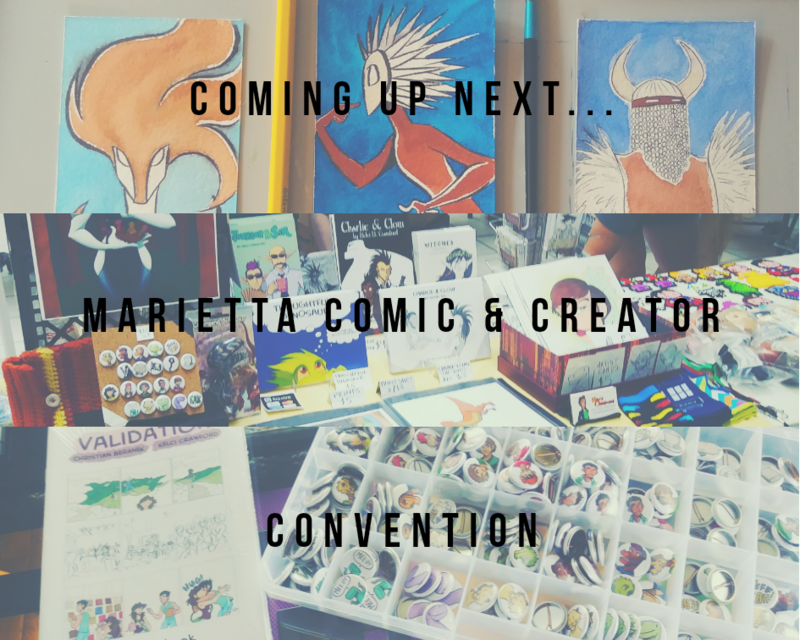 This is, in fact, the first year that the Marietta Comic and Creator Convention even exists! 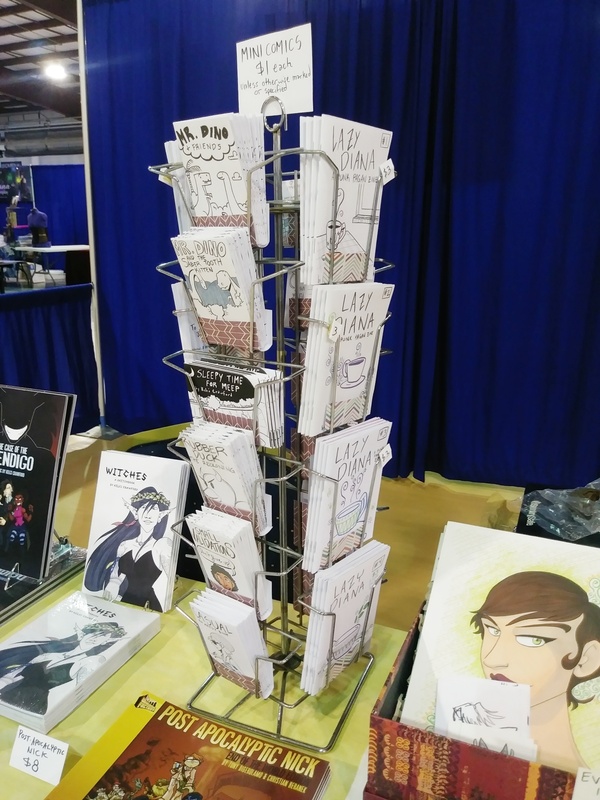 Sketch cards are marked down to $1 – I’m trying to clear these babies out! 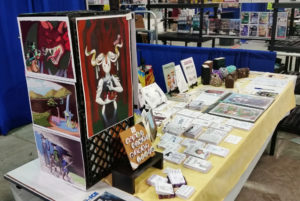 The Box of Clearance Original Art debuted at the Pop Culture Buy Sell Trade Show in Vienna, WV, and will make another appearance at this Marietta Show. Everything in the box is marked to $5. There will be crafts on the table – wrist cuffs, a tablet case, and paper bead bracelets are included. The tablet case is $10, the other crafts are $7. Usually this is where I offer free sketch cards to those who attend the show, but I’m not going to this time. The reason I have sketch cards marked down to $1 is because there were folks who didn’t show up to claim their card at previous shows. These cards need new homes. Oh! The Case of the Wendigo is back in stock. Huzzah! 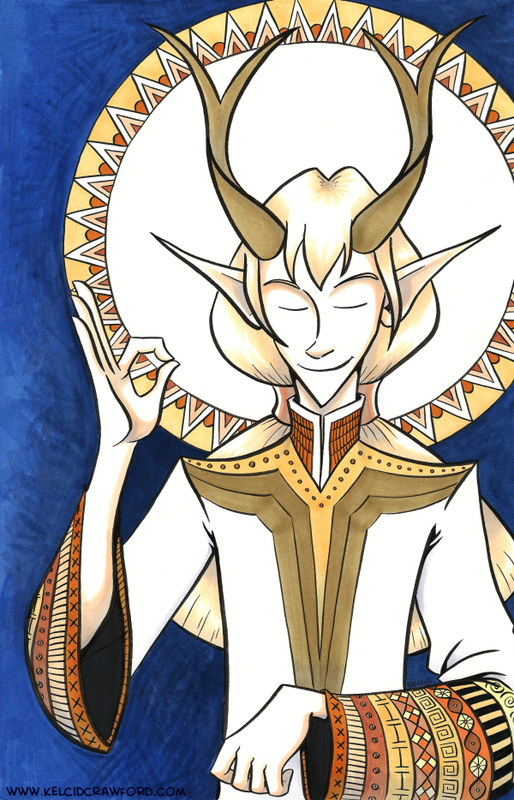 However, for the next few days, Charlie & Clow is out of stock. Why? Well, I made a consignment deal with New Dimension Comics and they cleared out my current stock of Charlie & Clow. I placed the rush-order in to get more copies, so hopefully they’ll arrive before Marietta Comic and Creator Con happens. 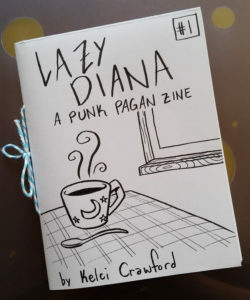 And before I forget, I updated the Shop list – there’s new stores carrying my comics and zines! As I’m writing this, I’m sitting in a Denny’s, waiting for my dinner. But this show went so well I had to write about it while waiting for food. 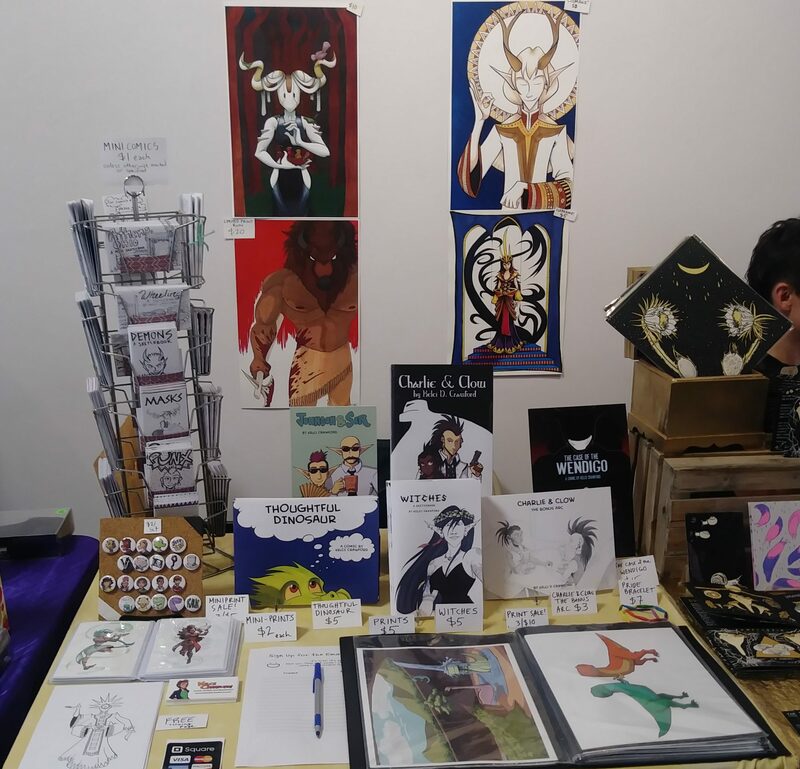 This was a last-minute decision to go – one of the guys at New Dimension Comics asked if I wanted to go to signal boost the shop as well as sell my stuff. I said yes. Y-City happened in Zanesville, at a place called Weasel Brewery. Believe it or not, I have roots in Zanesville – it’s where I went to high school. 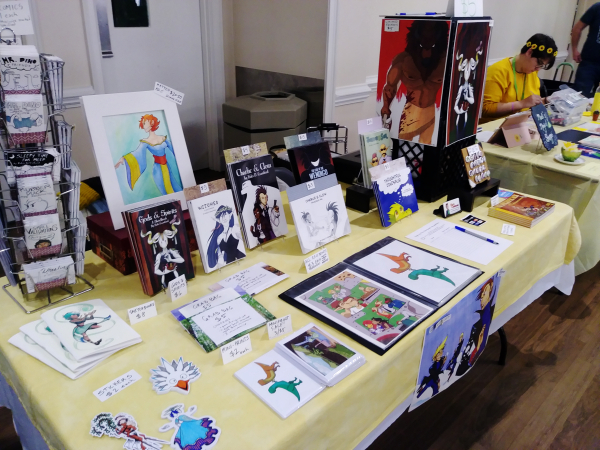 While I had my table set up, I came across my old high school buddy and current fan, Morgan. 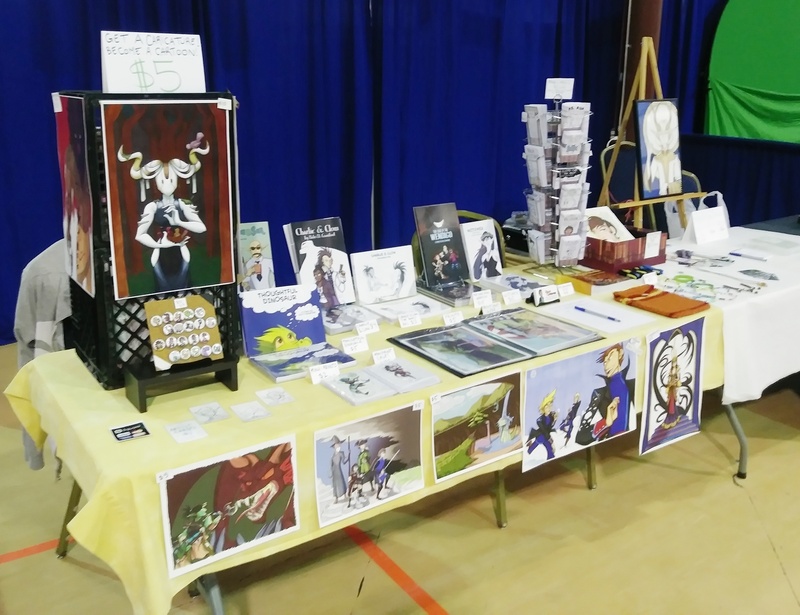 After chatting a bit, we exchanged contact information so we could work together for First Fridays and the arts festival that happens annually in town. 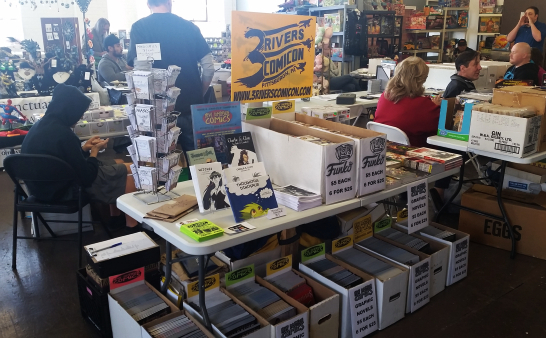 It must be said that Y-City Con is still new – this was its second year of operation. So it was wee. I still wish I had something like this growing up though. In my formative years, the most nerdy things in Zanesville were the Waldenbooks before they went out of business, and the exchange store that carried video games and movies. Once there was a Hot Topic in that mall but it moved out when I was a junior or senior in high school. Point being: growing up I had no comic shop or comic con in the town. So I’m glad to see Y-City and the comic shop that hosts it, Mass Media Comics LLC, actually exist. 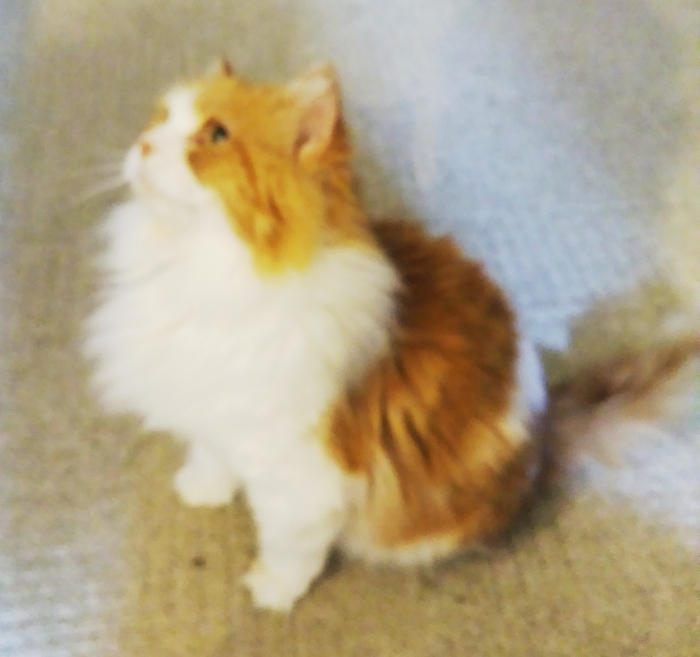 I’ll close it here – this is a shorter blog post than usual, but I wanted to get these thoughts on paper before I stuffed my face with congratulatory food.